We sat down and spoke to all 19 of the other Premier League clubs and their fan pages and asked them some topical and risky questions. Here are the results, they make for some good reading! After the preseason both clubs endured at the start of last season, with Southampton losing Ronald Koeman and Everton finally dismissing Roberto Martinez, some might forgive both clubs for having a quiet time of it this time around! I think you would agree that both Everton and Southampton made the best with what they had in parts last season, with both clubs going through somewhat of a transition. Everton That – It would probably be amiss of us to skirt around the whole Ronald Koeman situation, so we will tread a little carefully! With Ronald upping sticks, did you feel his departure would have more of an effect on your team than it has done? @Stmarysmusings – I think Koeman’s departure still had an impact on Southampton, regardless of finishing eighth as there was a massive gap of 15 points to Everton in seventh. But also the Premier League from eighth to the bottom was atrocious so we weren’t the only club to take a step back despite the top half finish, which was actually really deceiving. Koeman was manager at Southampton for 2 seasons. In that time what where the obvious improvements he made to your side and can you see similarities with his current Everton side to how he worked at Southampton? Koeman as well as Mauricio Pochettino, made Southampton competitive against the top clubs – and whilst we might not take maximum points we were always a tricky team to face, especially at St. Mary’s. He has definitely brought that air of threat to Everton, what achieved results against the top 6 teams this past season. He also has an increasingly arrogant personality and that gives his teams a certain belief in themselves regardless of who they play. Our teams met a couple of times last season, the first at St. mary’s was a pretty drab affair but pitched a 1-0 win and we pulled it back at Goodison with a 3-0 victory. But, what has been the most memorable game in the past between our two sides? Just because it is fresh, Charlie Austin spoiling Ronald Koeman’s return to St Mary’s was a comical day. The football was dreadful as nothing happened after Austin scored 43 seconds in. With all the murmurs that Koeman wasn’t bothered about utilising our Academy it really was a sweet victory that young Josh Sims — someone he claimed to not be aware of — set up the goal. We’ll give you that one! If you could have any current Everton player in your Southampton team who would it be and why? For us we’d take Manolo Gabbiadini, we think we really missed a trick not signing him in January. Romelu Lukaku, easily. We only scored 41 league goals last season and his 25 would be a nice addition to any team. Also he’s just a physical specimen with great strength in the air, ability on the ball and pace. Last season both Everton and Southampton finished 7th and 8th respectively. Do you believe it will be a similar table finish for both sides next season or can either make a push up the table or will either drop off slightly from their 2016/17 standings? I can see both teams struggling in an almost ‘history repeating itself’ kind of way. 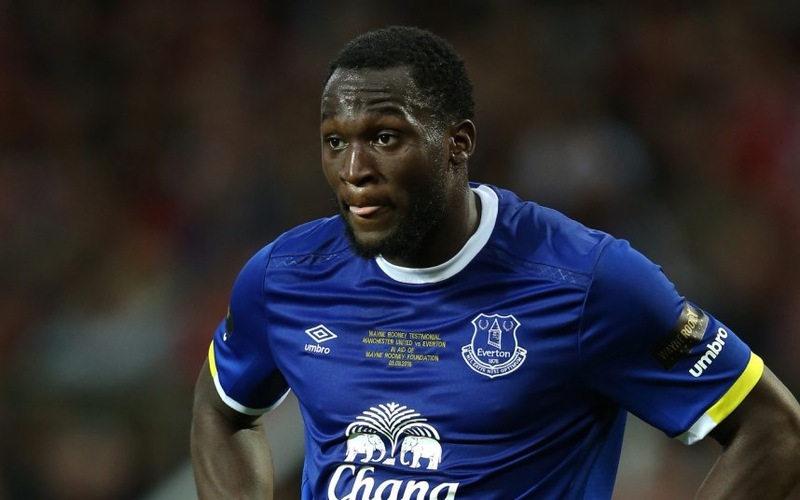 It seems Lukaku is destined to return to Chelsea and it will be hard to replace what he brings to Everton because he’s a unique talent. Failing to address it — like we failed to properly address the departure of Graziano Pelle — is hard to overcome and we paid the price for it. It is easier said than done, but scoring goals is important. The virgil van Dijk saga seems like it’s going to rumble on a little longer through the current transfer window. Are you confident in keeping him and if not do you believe there is a possibility he could rejoin Ronald Koeman at Everton and would Southampton sell to Everton after Koeman’s exit? I see no possibility where Virgil Van Dijk ends up at Everton. In the nicest way, I think he can do better than Everton, just like he deserves better than finishing in eighth again at Southampton. He’s right in the prime of his career and will only get better playing alongside world class players. I think wherever he goes in the Premier League will be a stepping stone to a career at Barcelona, just like I feel Koeman will manager the Catalan giants sooner rather than later. Claude Puel came under some criticism at times last season for his team selections and tactics, do you believe he is the right man for Southampton and is he someone that can be a long term manager at your club? I don’t see him being our long-term manager let alone make it to pre-season for 2017/18. It would be good, however, to find a manager that can last for longer than two years, but as long as we’re continuing to fight for eighth place and they can do better, why would they stay? There is really no method to the madness, which Claude Puel brought to Southampton this year with his team selections and tactics. I think Dusan Tadic largely struggled under Puel whilst also failing to adapt to life without Pelle. There are grumblings that Tadic should or could leave this summer and I believe he should if Puel remains in charge, otherwise he could potentially return to better form with a new manager. At this point, Puel has to go. The press has dragged his name through the mud a bit saying he’s been sacked when he hasn’t been yet, or that Southampton will sack him only when they’ve lined up his successor. Either way, it is a bad look and unfair treatment for a manager, who just didn’t live up to the pressure of competing in the Premier League. Finally, thanks once again for taking part in our Q&A series, we hope your 2017/18 season is an enjoyable one and hopefully we can link up again during the season. But, to finish our questions we wanted to know if you could take one aspect of Everton Football Club and have it at Southampton, what would it be and why? For us we’d bring Van Dijk and Gabbiadini and the fella who started the Jason Puncheon song when he went off the pitch to relieve himself! Unfortunately it is not a comical answer as I too loved the Puncheon song, but I would take the financial backing that Everton has. We’re on the verge of this Chinese takeover and it’d be great to compete with bigger clubs to keep our players. Southampton talks about reaching the next stage and vying for European football on a yearly basis, but in our current form and structure, I just don’t see it happening. Next up in our ‘Meet the oppo’ series is @WAGNH (Chelsea).